Last edited by graphic_content; 07-22-2017 at 07:18 PM. There's no way that's a ninja turtle, it has no shell & the limbs are too long. 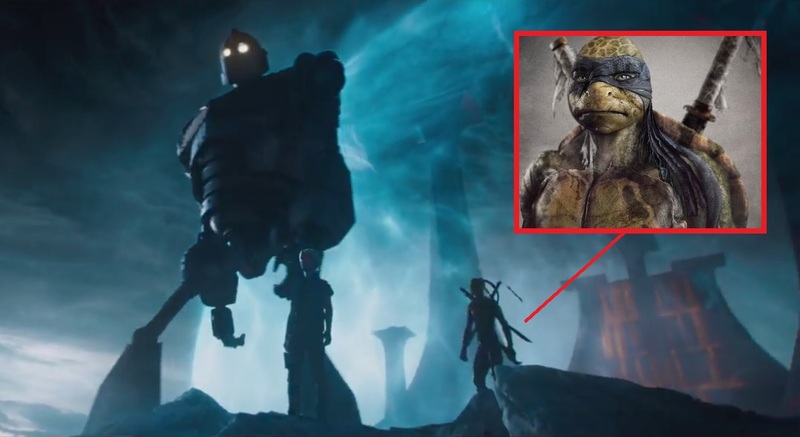 Yeah, that's not a Ninja Turtle but wow, if not for this thread I would've missed this trailer and it's right up my alley. 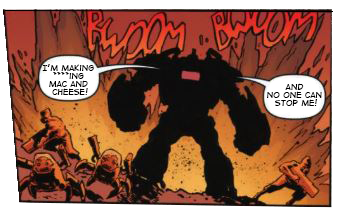 Yeah, that's no Ninja Turtle BUT I'M DOWN FOR SOME IRON F*CKING GIANT! Eh, the trailer looks boring. Might pass. Fake, but anyway, it looks nothing like a Steven Spielberg film. I could see that if every one of his films were literally the same thing, but since they aren't, this is a ridiculous notion. This is no fake, it's a real movie and it's a Steven Spielberg one too booth, but that things is 100% not a Ninja Turtles nor it's even meant to be one. It's only the TMNT he's calling fake. Yeah I went looking through that trailer for The Ninja Turtle that even the Nerdist said was in there, but I couldn't find it. I'm curious to see them translate the book to the screen, especially given the fact that the book has the ability to name drop a wider variety of geek properties than the movie will ever be allowed to. If one of the Turtles is in the movie, It'll probably the 90s version. Probably. The Fred Wolf show needs more homage. Probably for the best. If Spielberg were to even touch a TMNT in one of his turtle films, I'd proably cry myself to sleep at the unused potential of it all. It won't let me post the same image in two threads. Anyway if your interested the photo I attached in post #14 of this thread shows a slightly different view and it looks like a little more shell is showing. Reminds me some of a 2007 movie turtle. Got my hopes up. But Spielberg would have my 'permission' to do TMNT, so long as he'd try to stay true to the heart of it. Even if it was a ninja turtle, I think it would have a role as big as Michealangalo did in the Lego Movie. Who is that supposed to be that the kid walks by on the left near the beginning? With the mask and the 2 swords across his back? Is that supposed to be Deadpool or Deathstroke or something?